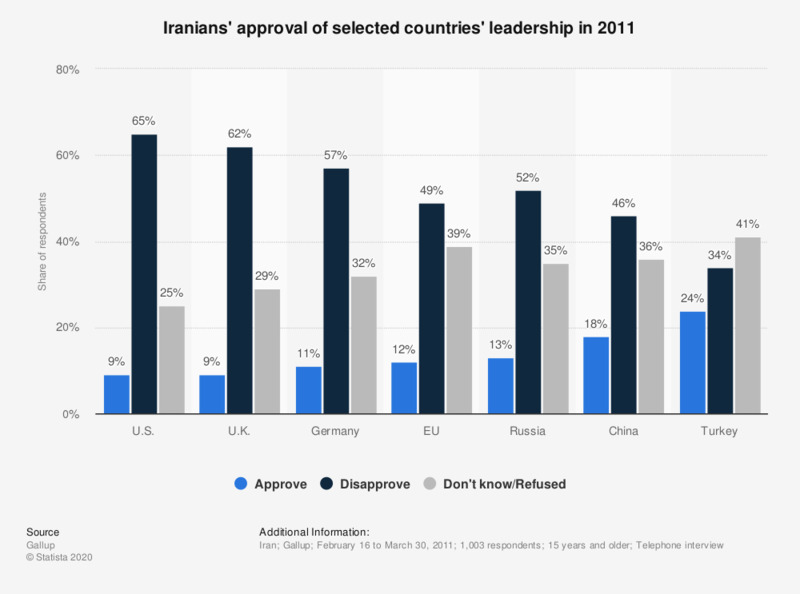 This survey shows the Iranians' approval of other countries' leadership in 2011. 24 percent of the respondents approve of the leadership of Turkey, while 65 percent disapprove of the leadership of the U.S.
During the survey, this question was posed as follows: "Do you approve or disapprove of the job performance of the leadership of following countries?" Do you agree or disagree with the statement: "Things would work better if more women held positions with responsibilities in government and companies"? Which of the following are the most significant growth barriers facing your company over the next year?